Just a couple of mixed bag entries this time around. To those out there having difficulty with the site (for some reason images won’t display on browsers other than explorer) if you head on over to the archives, everything else works and displays just fine. 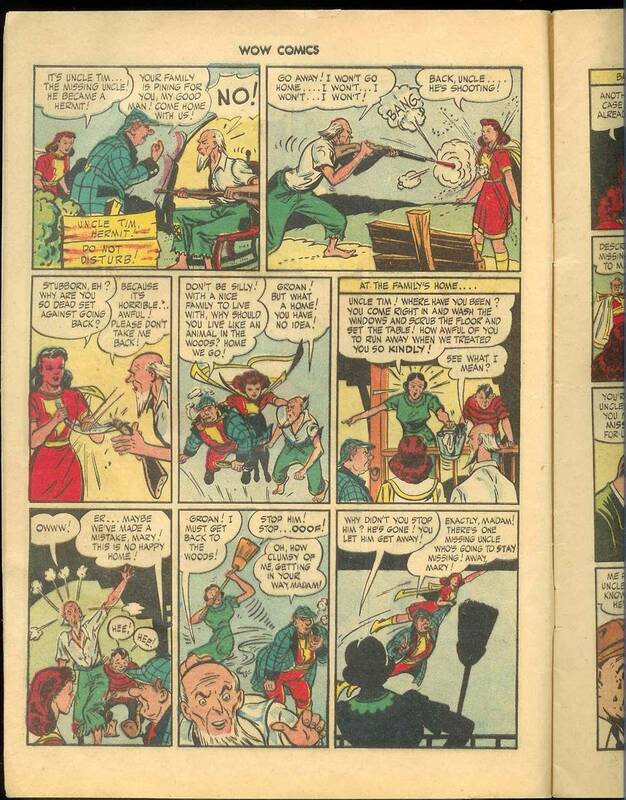 I found it odd reading this that the villain shares the same last name as a current US Senator. Maybe J. Saul is a distant relative to John Kerry? I don’t think they’re that close though, as I believe our Mr. Kerry is a democrat, while with phrases like “I’ll turn Metropolis into a wasteland before I go broke!” J. Saul strikes me as your typical right winger. Just saying. So kiddies, how do you suppose Superman handles the oncoming crisis? Uhm, yeah. 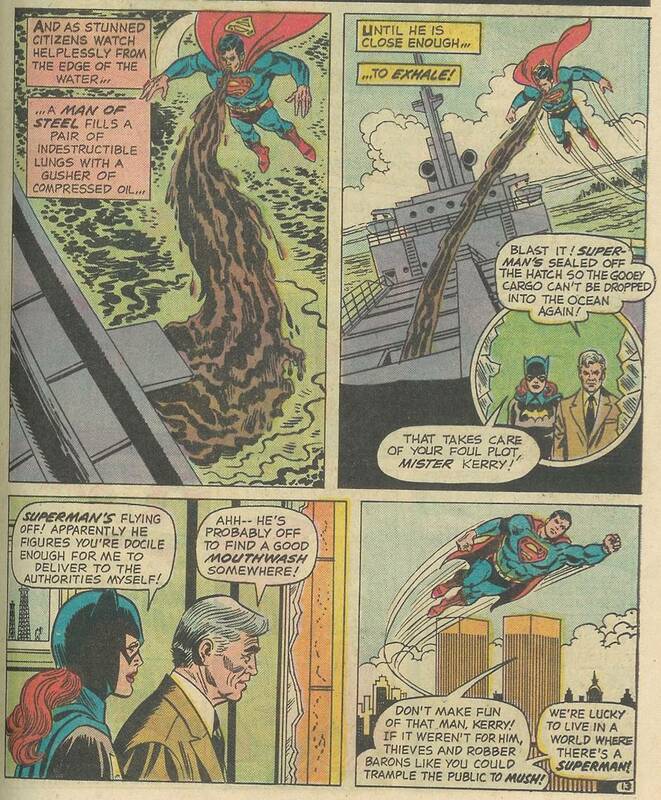 You know I’ve seen Superman do many things in the comics, but essentially watching him vomit black goo isn’t on the highlight reel. You know, with Kerry’s last line in the story I think I’ve found my kindred spirit. Think I’ll go and troll some right wing websites later. And is it just me, or do those 2 Metropolis towers eerily look like the World Trade Centre Towers? 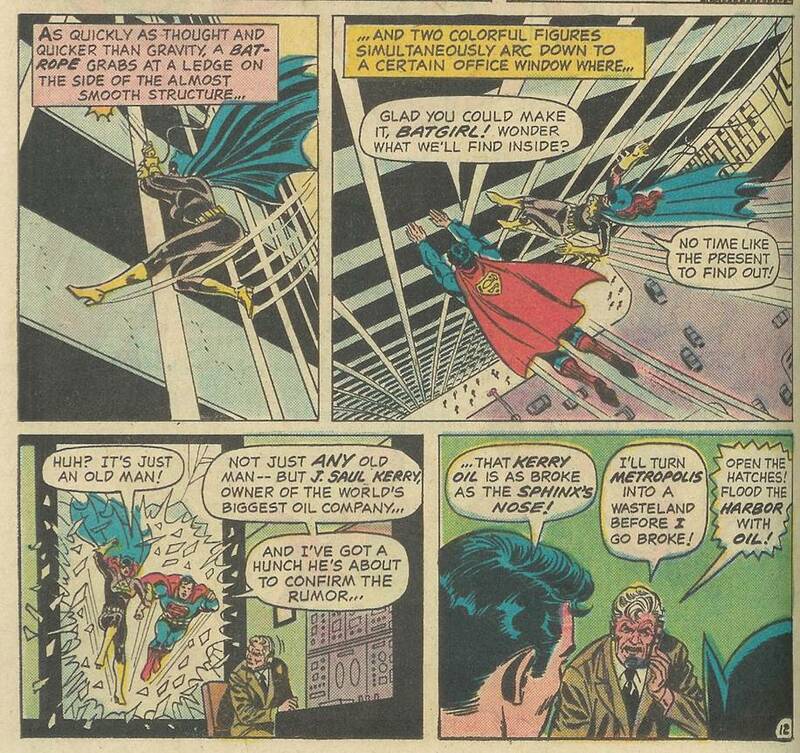 I guess the 70s were the time when both Gotham and Metropolis were clones of New York City. Ah yes, funny how politics seem to creep into comic books. Apparently in the 1970s Quebec was a province torn between leaving Canada and staying with Canada. And now? Well, honestly, the more things change, right folks? Seems on Earth 2 the Separtists got their wish and even got Montreal to host the International Women’s Convention, whatever that is. I wonder if there’s an International Men’s Convention too? Anyway, Dr. Fate and the JSA eventually determine who the villain is, and thus Dr. Fate comes up with my most favorite solution to battling an ancient evil! Trust me, you won’t believe your eyes for this titanic climax!!! Wait, let me get this straight, they stop the ultimate evil that was siphoning power off of them by DOING NOTHING and Dr. 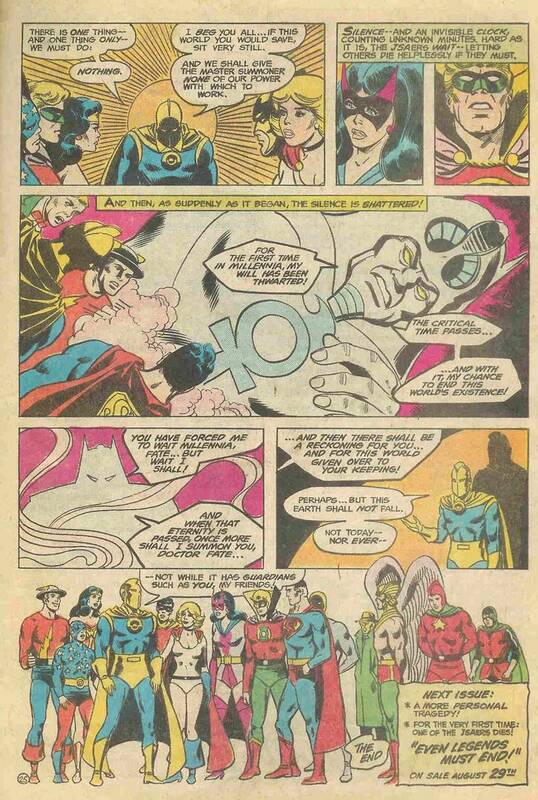 Fate congratulates them by saying Earth will never fall so long as it has guardians like the JSA. 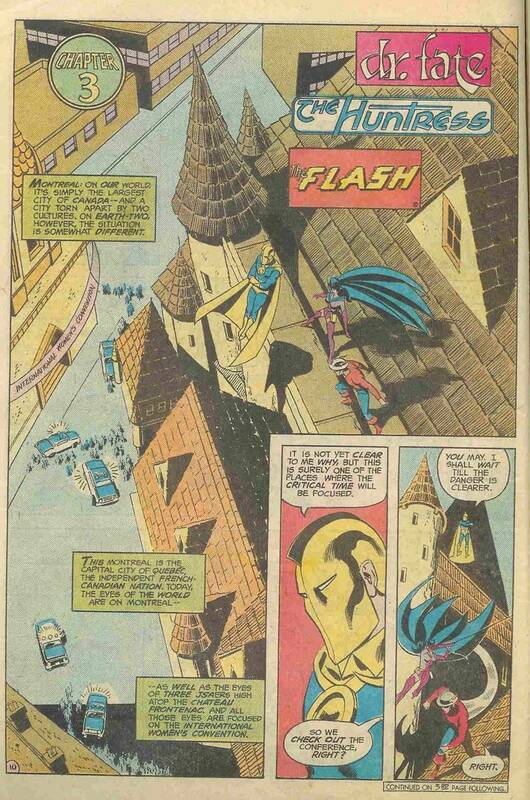 See, logic says if the bad guy was using the JSA’s powers, then maybe Earth would have been better off without the JSA to begin with. Just saying. It’s odd how the artist, in what really is a nice team image, made one character completely obscured by Superman. Honestly, who is that guy standing behind the Man of Steel? Anybody? Let’s just call him Generic Man! Anyone out there have any more Generic Man sightings, please send them my way. I also like how Starman seems absorbed in reading the next issue box. I wouldn’t worry about the JSAer who’ll kick the bucket Starman, as my money is on Generic Man!!! By the way Generic Man is my new baby (copyright and trademark). Maybe I could get a Generic Man movie going. You’ve got to love the ethics in the 1940s. 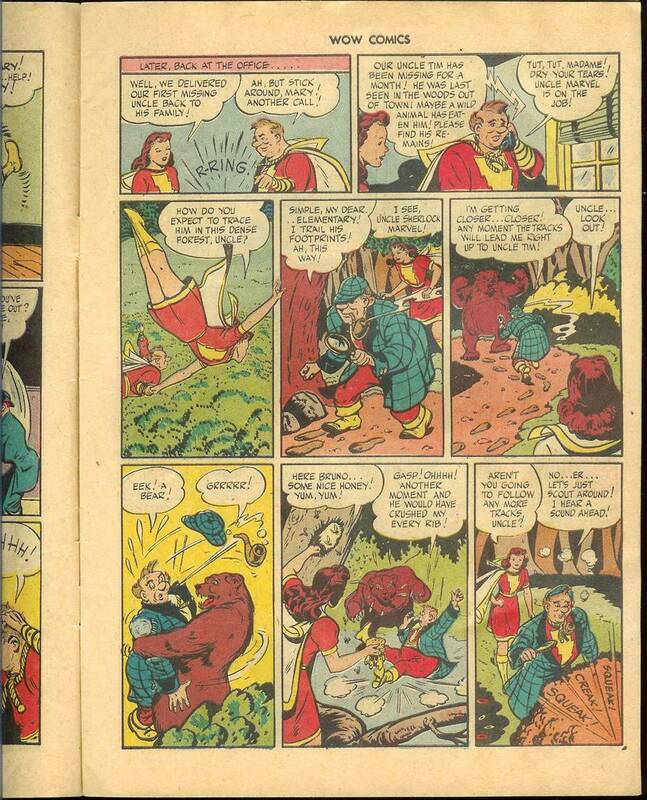 Case in point, Uncle Marvel and Mary Marvel seem to have no qualms with letting the old man go, even after HE TRIED TO KILL THEM JUST PANELS EARLIER! Okay, the guy had it rough and went nutty, is that a good enough reason to let him loose? 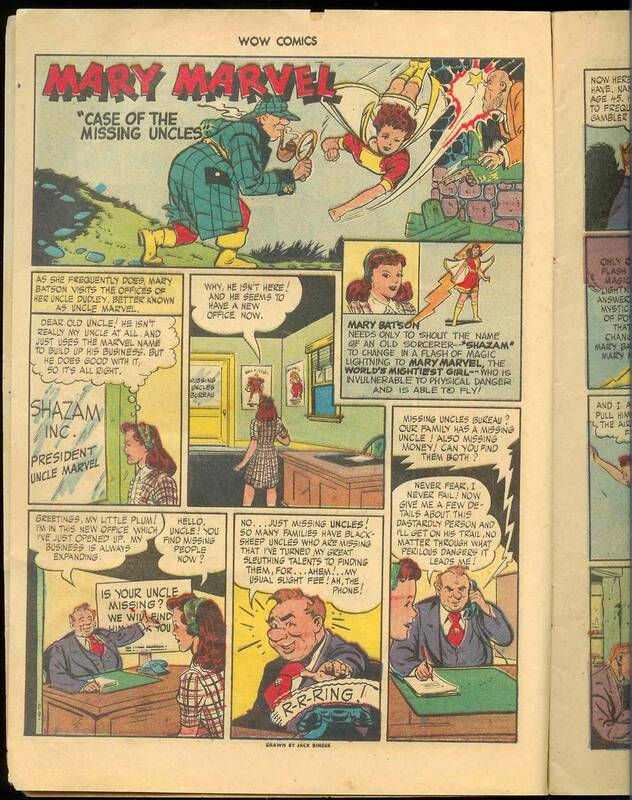 And the final point of the day, just how did Uncle Marvel stop the wicked lady from bashing the Crazy Uncle in the head with a broom. I guess it turns out that Uncle Marvel had a superpower after all!!! YAY!! !